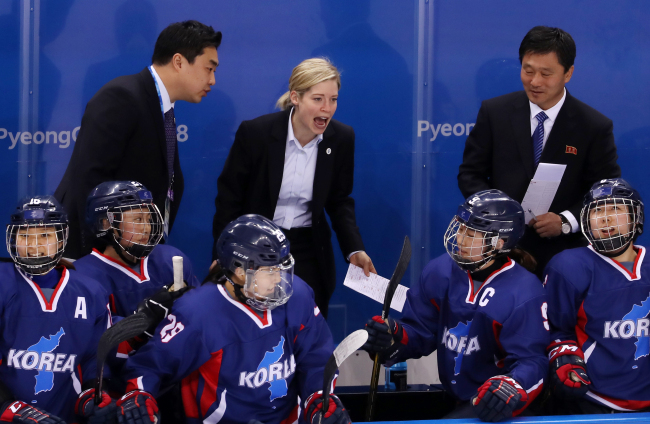 GANGNEUNG, South Korea -- The joint Korean women's hockey team suffered its third straight loss at the PyeongChang Winter Olympics on Wednesday, falling to Japan 4-1. 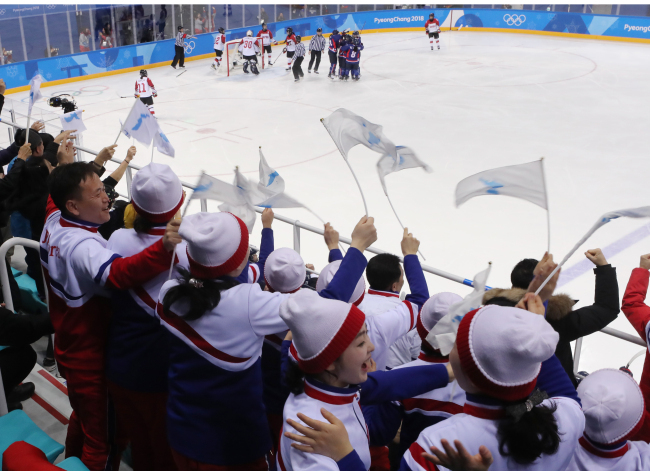 Randi Heesoo Griffin scored Korea's first-ever Olympic goal, in the second period, at Kwandong Hockey Centre in Gangneung, but it wasn't nearly enough as Korea's preliminary round ended unceremoniously with three losses, with one goal scored and 20 goals allowed. Hanae Kubo and Shoko Ono scored a goal apiece in the first period, while Shiori Koike and Rui Ukita added one each in the third for Japan. The team affectionately called "Smile Japan" won for the first time in 13 Olympic games. Prior to this showdown, South Korea had lost all seven previous meetings against Japan, by a combined 106-1. Korea put just 13 shots on Japanese backup goalie Akane Konishi, with the usual No. 1, Nana Fujimoto, being a healthy scratch. The Korean team is made up of 23 South Koreans and 12 North Koreans. Of the 35, only 22 players -- 20 skaters and two goaltenders -- can play each game, and at least three must be North Koreans. Head coach Sarah Murray used four North Koreans for the first time. But it was Griffin, born in North Carolina to a Korean mother and an American father, who made history in the losing cause. Marissa Brandt, a Korean-born U.S. adoptee playing under her birth name, Park Yoon-jung, picked up the lone assist on the goal. Both teams, saddled with two losses prior to Wednesday, were eliminated from medal contention and were headed to the classification round. There were a lot of bragging rights at stake, though, as is the case whenever the two neighbors collide in sports. Japan, after going up by two goals early, withstood some Korean pressure to come out on top again.